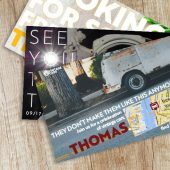 A well designed direct mail piece can be a winning eye-catcher and it’s flexibility and precision contribute to this benefit. Skilled Marketers are taking advantage of the various opportunities printed products offer. If you’re new to direct mail marketing or just want to improve your marketing activities – stop making these direct mail mistakes! First of all: Identify your target group. The central question here is ‘Who is going to do business with you?’, to whom is your offer relevant? After having found an answer to these questions, target your audience / target group and then – based on this – analyze your mailing list. If you don’t have a solid customer address data base make sure to purchase high quality address lists. The question to address when choosing addresses is: Is my marketing message relevant to all recipients in my address list? Also make sure to not purchase addresses that are too far away from your business location to make use of your offer. locr GEOservices are specified to precisely target your mailing list and ensure you only mail to real and valid addresses within your geographical limits. Learn more about this address list magic kit here. For an offer to be compelling it must be relevant to the recipient. Also make it as easy as possible for the customer to take advantage of it. You will want to make it clear to the recipient what the offer is and what the customer can expect when using a voucher or the like. For example, add a voucher for the nearest branch to make it more relevant for your customers to visit the branch in his or her neighborhood. Learn more about an interesting incentive program from the pet food manufacturer Josera here. After analyzing your mailing lists to provide every recipient just the relevant offers for his or her neighborhood, use as much personalization in your direct mail to go beyond the standard of personal form of address. If your mailing contains a personalized element, it creates more engagement and can influence the reader’s buying decision. For example, choose a personalized map to go with your direct mailing to show your customers where they can find you. Using our GEOservices you can even provide them with walking or driving distance and travel time. Here’s an example of how personalized maps can support pre event material to make every attendee feel well-prepared and informed. Between the flood of monotonous formal letter you will want to make your direct mail piece to stand out. Use compelling design to move the reader’s eyes where you want them to. Play around with different sizes, envelope designs, heavy stocks and colors. 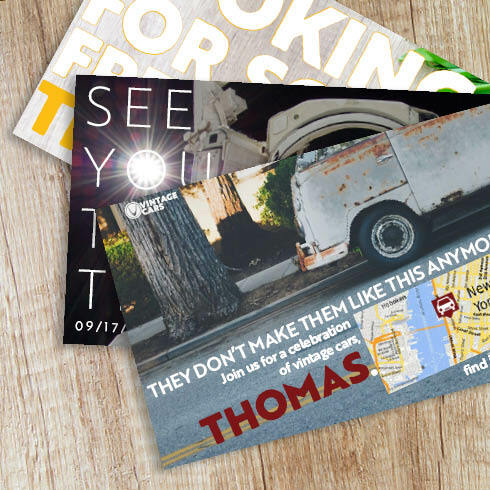 Here‘s a detailled blog post on direct mail postcard design.